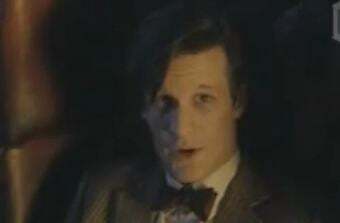 First footage of Doctor Who's Christmas special! So I guess this really is a retelling of Dickens' A Christmas Carol, with Michael Gambon as Scrooge. Huh. That will be something. Actually, if the show is committed to doing a Christmas episode every year, the Dickens approach seems way better than just throwing some robot Santas or robot Angels into an unrelated storyline.